A dog that wears a backpack is most certainly not a new concept. Pack dogs go back as far as the world wars and probably even further. Canine backpacks have improved though, along with our knowledge of dog anatomy, so they are more suitable and comfortable than ever before. Ruffwear are certainly leading the market with great canine equipment and the Ruffwear Approach Backpack meets the same standards of quality, comfort and ease of wear as the rest of their active dog gear. The Approach Backpack is designed for everyday wear and can be worn by the dog on multi day hikes and outings. This is another pack that is based on the Webmaster harness frame ensuring comfort, a great fit and no, mental or physical, stress to the dog as he wears it. 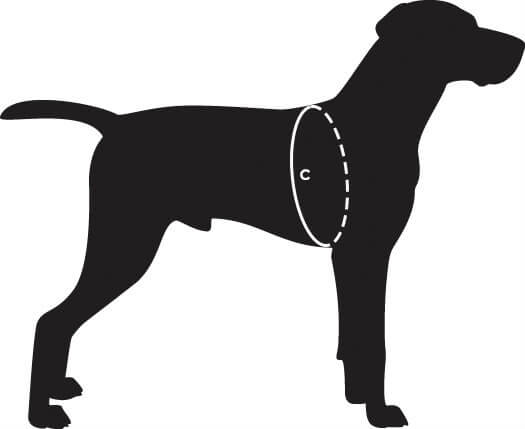 Five adjustable points ensure perfection when fitting the dog with his backpack. It's recommended that your dog carry no more than 25 - 30% of their body weight in their dog pack. If your dog is new to dog packs, start with a light load and work up to a heavier load as your dog gets accustomed to wearing the pack. Added extras to make life easier out on the rail are stash pockets, reverse coil zippers, and external gear loops and a secure single piece aluminium leash attachment point when needed. Not forgetting the Ruffwear low-light visibility reflective trim.